*A Heather Buckley Top Pick! BLUE RUIN is a classic American revenge story, following a mysterious outsider whose quiet life is turned upside down when he returns to his childhood home, determined to carry out an act of vengeance. His inexperience as an assassin lands him in a brutal fight to protect his estranged family in this critically-acclaimed new thriller by director Jeremy Saulnier (MURDER PARTY). Starring Macon Blair, Devin Ratray, Amy Hargreaves and Eve Plumb. 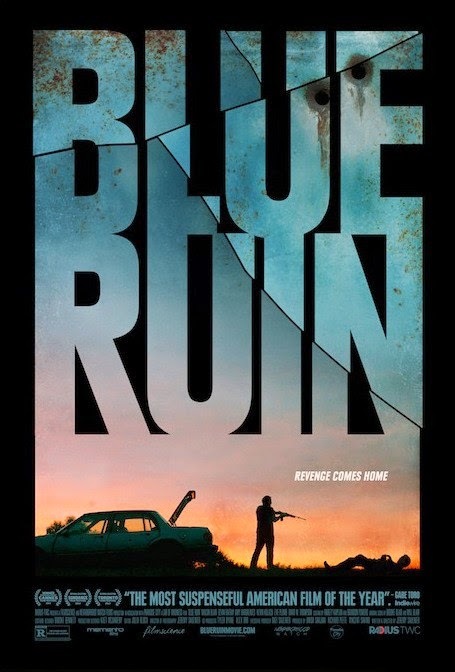 BLUE RUIN has a running time of 90 minutes and is rated R for strong bloody violence, and language. Special DVD and Blu-Ray™ features include Feature Commentary with Writer/Director Jeremy Saulnier and Macon Blair, No Regrets: The Making of Blue Ruin, Deleted Scenes and Camera Test.